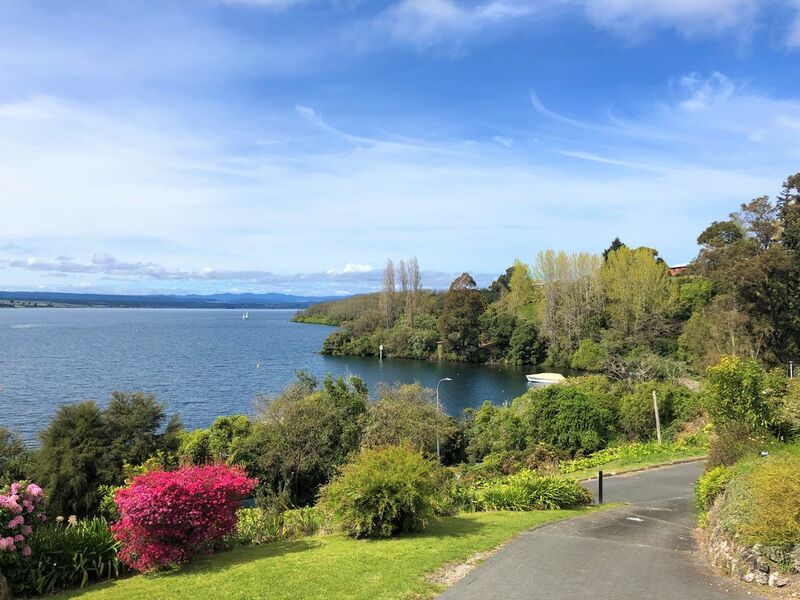 This beautiful home has been designed and built to capture the most stunning views of Lake Taupo. Fire up the BBQ and relax on the sun-deck with loved ones while taking in the panoramic views. You will love being located so close to the shore at Acacia Bay. Walk out of the driveway and cross the street to dip your toes in the lake. This is what holidays are made of! With 3 bedrooms, 3 bathrooms, spacious open-plan living and dining area with a modern kitchen and some of the best lake views in town - you won't ever want to leave! Great location and ideal for a family or 3 couples. We loved it and really enjoyed Taupo. This is a great property for a family. It was a lovely home. It was more beautiful then what the photos show. This place is somewhere we will come back to and recommend. was great too.recommend this home for any relaxing break.its fantastic! !